Note: The following piece was originally written for the April 9, 2006, edition of Our Sunday Visitor newspaper, and has been posted on Ignatius Insight. I am posting it here for CWR readers who may have not seen it before. The liturgical year is a great and ongoing proclamation by the Church of the Gospel of Jesus Christ and a celebration of the Mystery of the Word. Through this yearly cycle, the Catechism of the Catholic Church explains, “the various aspects of the one Paschal mystery unfold”(CCC 1171). The Easter Triduum holds a special place in the liturgical year because it marks the culmination of the yearly celebration in proclaiming the Passion and Resurrection of Jesus Christ. The Latin word triduum refers to a period of three days and has long been used to describe various three-day observances that prepared for a feast day through liturgy, prayer, and fasting. But it is most often used to describe the three days prior to the great feast of Easter: Holy Thursday, Good Friday, and Holy Saturday and the Easter Vigil. The General Norms for the Liturgical Year state that the Easter Triduum begins with the evening Mass of the Lord’s Supper on Holy Thursday, “reaches its high point in the Easter Vigil, and closes with evening prayer on Easter Sunday” (par 19). Just as Sunday is the high point of the week, Easter is the high point of the year. The meaning of the great feast is revealed and anticipated throughout the Triduum, which brings the people of God into contact – through liturgy, symbol, and sacrament – with the central events of the life of Christ: the Last Supper, His trial and crucifixion, His time in the tomb, and His Resurrection from the dead. 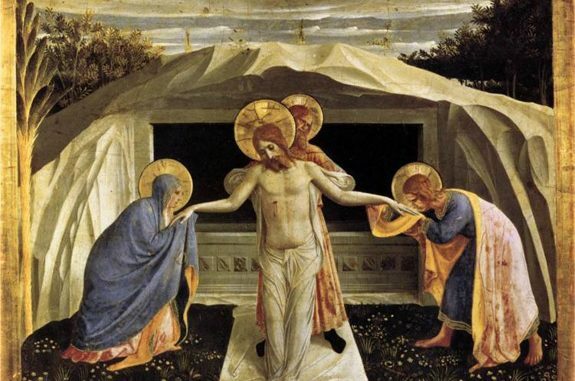 In this way, “the mystery of the Resurrection, in which Christ crushed death, permeates with its powerful energy our old time, until all is subjected to him” (CCC 1169). During these three days of contemplation and anticipation the liturgies emphasize the sacrificial death of Christ on the Cross, and the sacraments of baptism and the Eucharist, by which the faithful enter into the life-giving Passion of Christ and grow in hope of eternal life in Him. The Triduum begins with the evening Mass of the Lord’s Supper on Holy Thursday, which commemorates when the Eucharist was instituted at the Last Supper by Jesus. The traditional English name for this day, “Maundy Thursday”, comes from the Latin phrase Mandatum novum – “a new command” (or mandate) – which comes from Christ’s words: “A new commandment I give to you, that you love one another; even as I have loved you, that you also love one another” (Jn 13:34). The Gospel reading for the liturgy is from the first part of the same chapter and depicts Jesus washing the feet of the disciples, an act of servitude (commonly done by slaves or servants in ancient cultures) and great humility. Earlier on Holy Thursday (or earlier in the week) the bishop celebrates the Chrism Mass, which focuses on the ordained priesthood and the public renewal by priests of their promises to faithfully fulfill their office. In the evening liturgy, the priest, who is persona Christi, will wash the feet of several parishioners, oftentimes catechumens and candidates who will be entering into full communion with the Church at Easter Vigil. In this way the many connections between the Eucharist, salvation, self-sacrifice, and service to others are brought together. Thus, in this memorial of Jesus’ last meal with His disciples, the faithful are reminded of the everlasting value of that meal, the gift of the priesthood, the grave dangers of turning away from God, the necessity of the approaching Cross, and the abiding love that the Lord has for His people. This is the first full day of the Easter Triduum, a day commemorating the Passion, Cross, and death of Jesus Christ, and therefore a day of strict fasting. The liturgy is profoundly austere, perhaps the most simple and stark liturgy of the entire year. The liturgy of the Lord’s Passion consists of three parts: the liturgy of the Word, the veneration of the Cross, and the reception of Communion. Although Communion is given and received, this liturgy is not a Mass; this practice dates back to the earliest years of the Church and is meant to emphasize the somber, mournful character of the day. The Body of Christ that is received by the faithful on Good Friday was consecrated the prior evening at the Mass of the Lord’s Supper and, in most cases, was adored until midnight or another late hour. The liturgy of the Word begins with silence. After a prayer, there are readings from Isaiah 52 and 53 (about the suffering Servant), Psalm 31 (a great Messianic psalm), and the epistle to the Hebrews (about Christ the new and eternal high priest). Each of these readings draws out the mystery of the suffering Messiah who conquers through death and who is revealed through what seemingly destroys Him. Then the Passion from the Gospel of John (18:1-19:42) is proclaimed, often by several different lectors reading respective parts (Jesus, the guards, Peter, Caiaphas the high priest, Pilate, the soldiers). In this reading the great drama of the Passion unfolds, with Jew and Gentile, male and female, and the powerful and the weak all revealed for who they are and how their choices to follow or deny Christ will affect their lives and the lives of others. The simple, direct form of the Good Friday liturgy and readings brings the faithful face to face with the cross, the great scandal and paradox of Christianity. The cross is solemnly venerated after intercessory prayers are offered for the world and for all people. The deacon (or another minister) brings out the veiled cross in procession. The priest takes the cross, stands with it in front of the altar and faces the people, then uncovers the upper part of the cross, the right arm of the cross, and then the entire cross. As he unveils each part, he sings, “This is the wood of the cross.” He places the cross and then venerates it; other clergy, lay ministers, and the faithful then approach and venerate the cross by touching or kissing it. In this way each person acknowledges the instrument of Christ’s death and publicly demonstrates their willingness to take up their cross and follow Christ, regardless of what trials and sufferings it might involve. Afterward, the faithful receive Communion and then depart silently. In the Byzantine rite, Communion is not even offered on this day. At Vespers a “shroud” bearing a painting of the lifeless Christ is carried in a burial procession, and the faithful keep vigil before it through the night. The ancient Church celebrated Holy Saturday with strict fasting in preparation of the celebration of Easter. After sundown the Christians would hold an all-night vigil, which concluded with baptism and Eucharist at the break of dawn. The same idea (if not the identical timeline) is found in the Easter Vigil today, which is the high point of the Easter Triduum and is filled with an abundance of readings, symbols, ceremony, and sacraments. The Easter Vigil, the Church states, ranks “the mother of all vigils” (General Norms, 21). Being a vigil – a time of anticipation and preparation – it takes place at night, starting after nightfall and finishing before daybreak on Easter, thus beginning and ending in darkness. 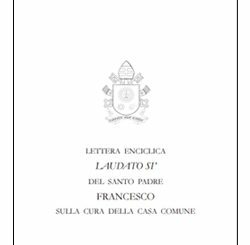 It consists of four general parts: the Service of Light, the Liturgy of the Word, Christian Initiation, and Liturgy of the Eucharist. The Service of Light begins outdoors (or in a space outside of the main sanctuary) and in darkness. A fire is lit and blessed, and then the Paschal candle, which symbolizes the light of Christ, is lit from the fire by the priest, who proclaims: “May the light of Christ, rising in glory, dispel the darkness of our hearts and minds.” The biblical themes of light removing darkness and life overcoming death suffuse the entire Vigil. The Paschal candle will be placed in the sanctuary (usually by the altar) for the Easter season, then will be kept in the baptistery so that when the sacrament of baptism is administered the candles of the baptized can be lit from it. The Liturgy of the Word follows, consisting of seven readings from the Old Testament and two from the New Testament. These readings include the story of creation (Genesis 1 and 2), Abraham and Isaac (Genesis 22), the crossing of the Red Sea (Exodus 14 and 15), the prophet Isaiah proclaiming God’s love (Isaiah 54), Isaiah’s exhortation to seek God (Isaiah 55), a passage from Baruch about the glory of God (Baruch 3 and 4), a prophecy of Ezekiel (Ezekiel 36), Saint Paul on being baptized into Jesus Christ (Rom 6), and the Gospel of Luke about the empty tomb discovered on Easter morning (Luke 24:1-21). These readings constitute an overview of salvation history and God’s various interventions into time and space, beginning with Creation and concluding with the angel telling Mary Magdalene and others that Jesus is no longer dead; “You seek Jesus of Nazareth, the crucified. He has been raised; he is not here.” Through these readings “the Lord ‘beginning with Moses and all the prophets’ (Lk 24.27, 44-45) meets us once again on our journey and, opening up our minds and hearts, prepares us to share in the breaking of the bread and the drinking of the cup” (General Norms, 11). Some of the readings are focused on baptism, that sacrament which brings man into saving communion with God’s divine life. Consider, for example, Saint Paul’s remarks in Romans 6: “We were indeed buried with him through baptism into death, so that, just as Christ was raised from the dead by the glory of the Father, we too might live in newness of life.” Easter is in many ways the season of baptism, the sacrament of Christian initiation, in which those who formally lived in darkness and death are buried and baptized in Christ, emerging filled with light and life.